Social media has been circulating this chart on US crude oil, that seems to indicate that the US is sitting on excessive inventories. That's simply not true. 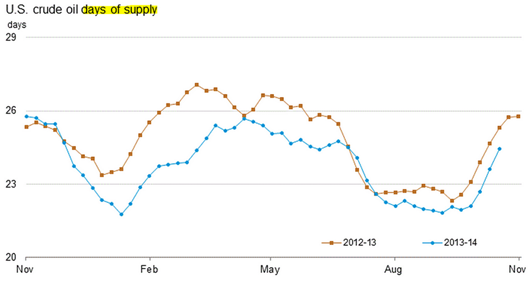 In fact US crude oil availability in storage, as measured in days of supply, is tighter than it was last year. The same holds true for gasoline. 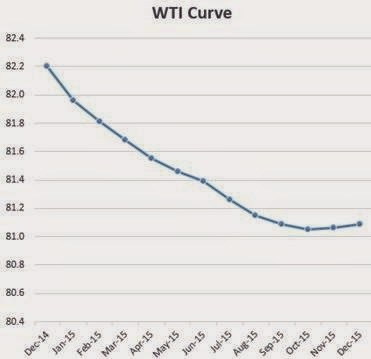 Furthermore, the WTI futures curve is in backwardation, indicating that the demand for physical crude in the US remains robust (this is not the case for Brent). 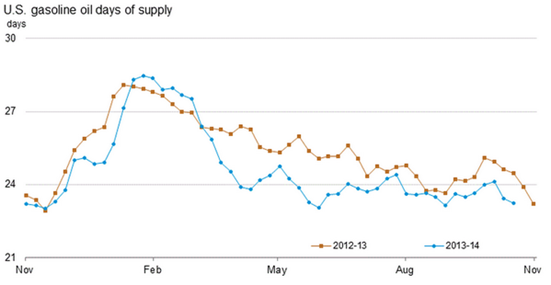 Sharply lower crude oil prices is a global phenomenon and is by no means an indication of slack demand or excessive inventories in the US.